Currawong’s Avionics hub provides a central routing point for CAN inside the airframe. By providing correct termination for CAN, as well as a flexible architecture for connecting multiple CAN nodes, it greatly simplifies and eliminates the need to run a single long CAN loop around the entire aircraft. With an integrated USB port, the Avionics hub allows for in-situ monitoring of CAN traffic in the aircraft. Additionally, the hub provides three RS232 ports for connection to various systems, which are accessible on an external computer using the same USB cable. 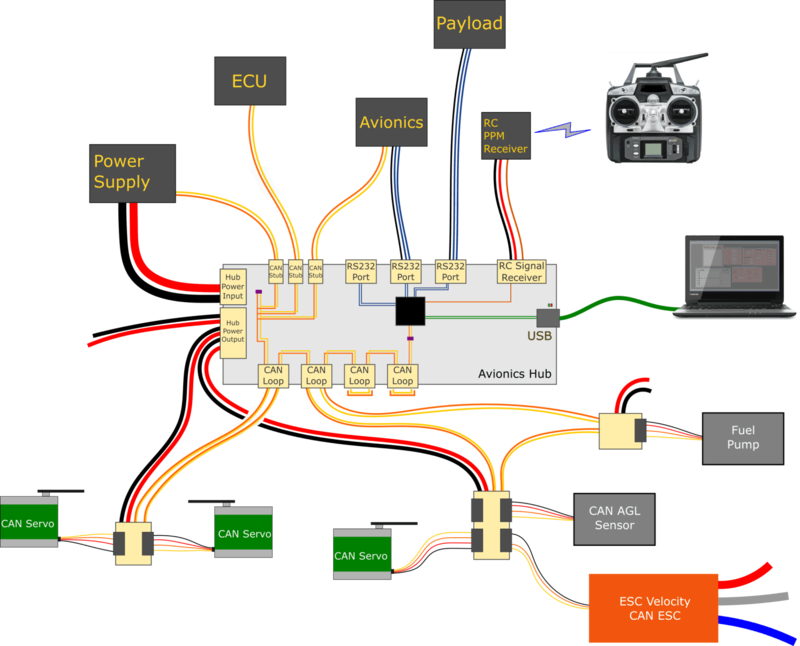 A typical UAV setup includes many complex devices with multiple communication interfaces that often require temporary connection with an external computer for pre-flight configuration or post-flight data recovery. The avionics hub facilitates this with a single point of connection. An example layout for connecting the Avionics Hub to the various aircraft systems is shown in the figure below. 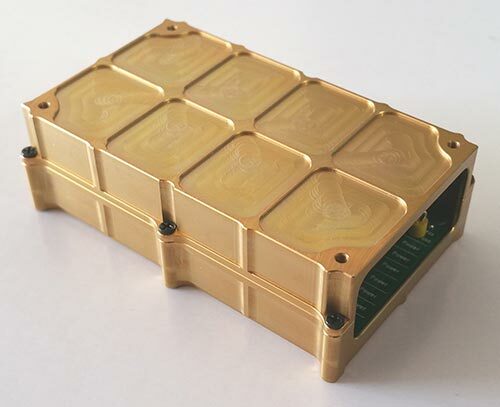 For more details on Currawong’s Avionics Architecture, please see link to the White Paper Avionics Architecture using CAN.